All electrical circuits, including those in your home, must be protected by an overcurrent protection device, or OCPD. Current is the amount of amperage flowing through a wire or circuit, and every wire or circuit has a specific maximum current rating. When this current is exceeded, the OCPD shuts off the power to the circuit, preventing fires and other serious hazards. In most homes today, the OCPD used on all circuits is a circuit breaker. In older homes with older electrical systems, the OCPD is most likely a fuse. Standard lighting and outlet circuits have screw-in fuses. 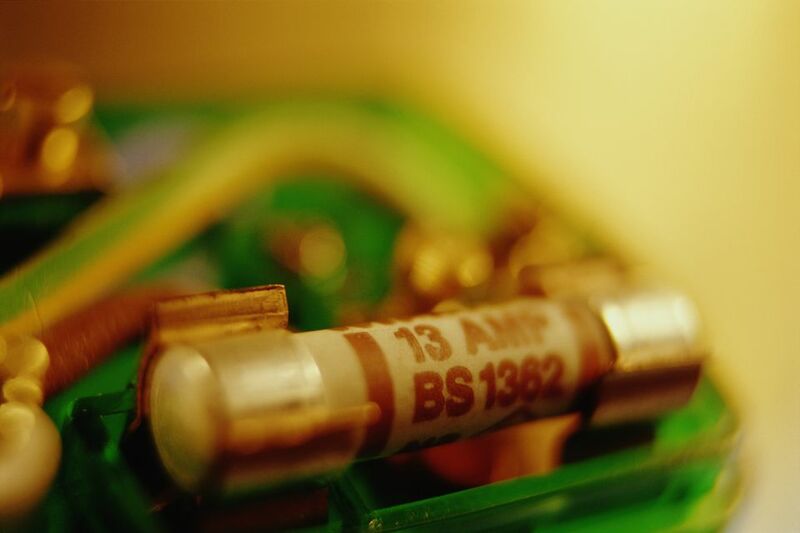 High-voltage circuits, such as those for electric ranges and dryers, are protected by cartridge fuses. All fuses, including cartridge fuses, are the "weak link" in an electrical circuit. Inside the fuse is a metal strip that is connected to both metal ends of the fuse body. If there is a short or fault anywhere in the circuit, or the circuit is overloaded, the metal strip, or link, heats up and quickly melts, opening the circuit and shutting off the power. It's sort of like a light switch that turns off only once, then it must be replaced. When replacing a cartridge fuse, the new fuse must be the same type as the old one and have the same amperage and voltage ratings. This is critical for safety, as an improper fuse can pose a serious fire or shock hazard. Cartridge fuses are cylindrical in shape and have contacts points at each end. They are rated for circuits over 30 amps and typically 240 volts. There are two basic types of cartridge fuses. Ferrule-type fuses are rated up to and including 60 amps. They have a cylindrical metal cap on each end and look like big versions of the fuses you find inside the plug end of holiday lights. The knife-blade cartridge fuse is the big brother to the ferrule-type. It is similarly shaped but has a flat metal blade on each end. Knife-blade fuses are used to protect circuits above 60 amps up to 600 amps. Many older electrical systems with fuse boxes (as opposed to modern breaker boxes) have two or more fuse blocks, each containing two cartridge fuses. One of the fuse blocks is the main fuse. This is the OCPD for the entire fuse box and thus all the branch circuits in the house. The other blocks are for large electric appliances, including dryers, ranges, air conditioners, baseboard heaters, or electric water heaters. To access the fuses inside a block, carefully pull on the wire bail or handle of the fuse block. Use one hand to pull out the block; this helps reduce the chance of electrocution if something goes wrong. Remove the block entirely from the box. To remove a fuse from its block, use a fuse puller, a pliers-like tool made of plastic or other nonconductive material for safety. Install replacement fuses just like the originals.